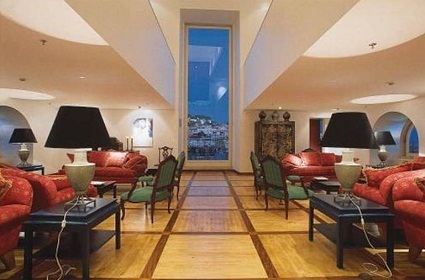 Situated in the most beautiful district in Lisbon, the Chiado Hotel occupies the top two floors of the Armazens do Chiado building. A historical landmark in its own right, the Armazens do Chiado was recently rebuilt and the hotel was added at the end of the refurbishing. 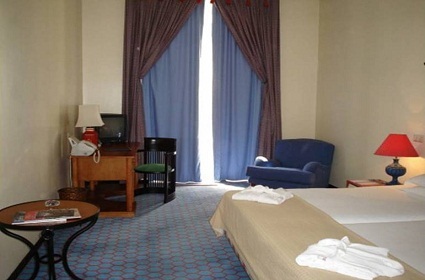 It offers all of the amenities you would expect of such a high class establishment, and more. 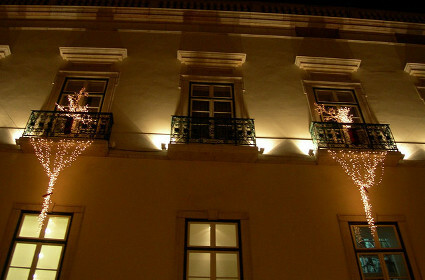 This beautifully restored landmark is located right in the centre of Chiado. The heart of the cultural center of Lisbon, it is also the region’s oldest shopping area, and home to the Santa Justa, a viewing platform from where the panorama extends beyond the city far into the surrounding countryside. 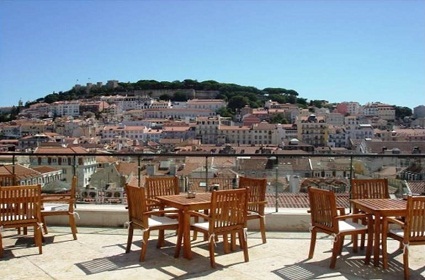 From the Chiado hotel, you can see many of the same sights from your home among the clouds. From nearly every room inside, you can see the beautiful Sao Jorge Castle, with all its magical terraces and views of the sea. The hotel is conveniently located to everything that makes the city so popular: the waterfront, the tramcars, the shopping, the nightclubs, museums and five-star restaurants. Here, the world lies literally at your feet, if you can find your way down from the sky.